The story of four-year-old Sukanya (name changed), a resident of YSR Slum Board Housing Colony in Vijayawada, is one of hope amidst despair. During a school health camp in October 2016, the medical officer detected a lymph node in her neck. Sukanya’s parents, both daily wage labourers, were counselled to take her for further tests, and eventually, she was referred to the Cartridge Based Nucleic Acid Amplification Test (CBNAAT) centre for confirming tuberculosis (TB) at the Government Medical College hospital, Vijayawada. She tested positive for TB (extra pulmonary), treatment started and her family members were also screened. Sukanya is one of the fortunate children to be diagnosed early, who had access to timely treatment. India accounts for about a fifth of the world’s TB burden, with updated estimates of about 2.8 million new cases. Sadly, about 4.78 lakh people lost their lives to the killer disease in 2015. There is also the major concern of multi-drug resistant (MDR) TB. It is estimated one million TB cases go unreported every year and the unreported numbers are expected to rise, indicating the great risk of transmission. TB is a preventable and curable disease, yet it kills more than 200 children in India every day. TB in children is also under-reported. Based on the 2016 Lancet Report, experts believe that the number of children living with TB in India in 2015 stood at 2 lakh, but only 99,000 paediatric TB cases were reported. Children are at greater risk of acquiring TB. According to the National Center for Biotechnology Information, in most cases, children get infected when they come into contact with an adult having active TB. It is a long and complex journey from diagnosis to treatment for children having TB. In addition, TB impacts their education. A study done by the National Institute for Research in Tuberculosis, Chennai, reveals that 11 per cent of children drop out of school because of parental illness and 20 per cent have to take up jobs to support their families because their parents have TB. Across the country, it is estimated that more than 3 lakh children may have left school permanently because the parents are affected by TB. It is encouraging that through the Centre’s Revised National TB Control Program, much progress has been made to address the disease. However, we still need to do much more with private healthcare providers. TB in children is often missed or overlooked due to non-specific symptoms and difficulties in diagnosis. It can be easily overlooked in clinical practice at busy outpatient facilities. 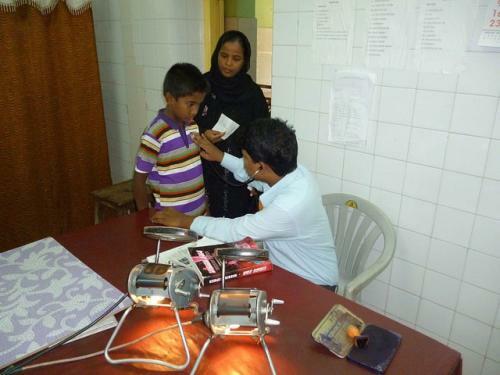 Routine sputum tests are not being used as children have difficulty in expectorating. Also, most paediatric cases are paucibacillary (low bacterial load). Extra pulmonary TB like that of Sukanya is more common in children. Sophisticated rapid molecular diagnostic tests like CBNAAT may not be readily accessible. India has been offering all the four World Health Organization recommended diagnostic tests for the diagnosis of MDR TB. There are 51 laboratories, which offer the Drug Sensitivity Test. The effort of the Union government to scale up the number of CBNAAT test sites to 759 (628 government centres and 131 private ones) this year is being recognised a big achievement. This has led to increased diagnosis of TB in children, in people living with HIV and more detection of MDR TB. NIKSHAY, an electronic portal implemented by the government for streamlining TB reporting has provided a tremendous opportunity for enhancing TB case notification. India is planning radical approaches towards elimination of TB with new strategic plans. The government’s effort to work closely with private healthcare systems, research institutions, technical experts and civil society organizations, both at the rural and urban levels, is a game-changing strategy for a TB-free India. This also means that the Centre should ensure dedicated funds, seamless procurement mechanisms and robust implementation plans in each state for TB elimination. Emphasis should be on development and use of more hardy, yet highly-sensitive diagnostic tests and child-friendly drug dosages. More knowledge is needed on the risk of TB, patient rights, TB treatment and risks of its discontinuation and importance of nutrition and social support. There is also need to facilitate universal testing for drug sensitivity and ensuring quality diagnosis and treatment for TB in the private sector. Also, we know that TB and undernutrition is interlinked. Therefore, one of the key areas is to focus on management of malnourished children and to actively screen them for TB. If India is to become TB free, responsive actions to address nutrition and food security at the household level are essential while increasing community-led planning and monitoring of interventions. Methods such as active case finding and contact-tracing should be scaled up efficiently so that many more Sukanyas can be reached. It is imperative for us, as a nation, to adopt a “Detect-Treat-Prevent-Build Approach” on a war footing, as we fight TB and protect our children.